Buying jewellery as a gift can be a difficult process. Whether you are looking for some practical advice, or just a few ideas, this help guide offers tips on how to choose the perfect piece of jewellery. Within this section of our website you will find a wealth of information and advice on how to choose your jewellery. If you have any further questions please feel free to contact me at any time. 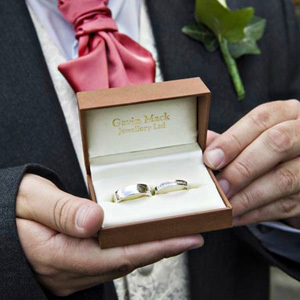 "Gavin is great at giving advice about the design of your ring and I would say to trust that he is highly skilled. I couldn't recommend him highly enough."